Gavin Durham is a graduate chemist with over 35 years experience in the battery industry. He has attended many courses on the shipping of Dangerous Goods by Road and Air over the last 10 years, keeping abreast of all the IATA changes affecting batteries. In addition he became a qualified Dangerous Goods Safety Advisor in 2016. Q. Can you start by giving some background to Lincad’s involvement with lithium-ion batteries? A. Lincad has been at the forefront of lithium-ion battery technology and design for some time now. We began manufacturing and testing lithium-ion batteries in 1999 and won our first contract to supply them in 2000. Although we work with all types of battery chemistry, including primary lithium, alkaline manganese, zinc carbon, silver oxide, nickel-metal hydride, nickel-cadmium and lead-acid, we actually manufacture more lithium-ion batteries than any other category. In fact, we now have a worldwide customer base for our wide range of lithium-ion products. Apart from the MOD here in the UK, we export into Europe, the Far East, Australasia and North America. We offer a ‘cradle to grave’ service – from product inception through development and manufacture to product support and final disposal, we work closely with all of our customers throughout the full life-cycle of the product. Q. 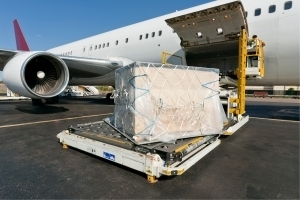 Earlier this year, IATA introduced new regulations regarding the transportation of lithium-ion batteries. So what are the hazards? A. The first point to make is that when they are designed, manufactured and handled properly, lithium-ion batteries are quite safe. We have plenty of customers who will testify to that. However, they do contain potentially flammable organic solvents. So if the batteries are physically abused, punctured or damaged in some way, the battery seal may be compromised and the flammable solvents can escape and spontaneously ignite. They can also be electrically abused. If they are over-charged, over-discharged or shorted out, they can get hot and internal gases can cause the seal to rupture, with the same result. Q. What are the new regulations and how have they affected you? A. 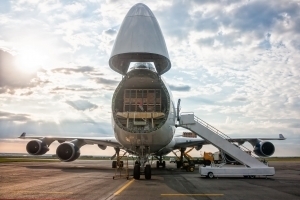 The big change came into force on 1st April this year when IATA ruled that lithium-ion batteries, other than those contained in or packed with equipment, could not be transported in the cargo holds of passenger aircraft. 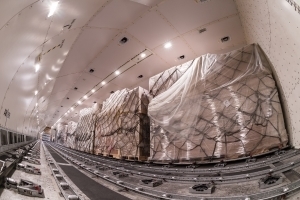 At the same time, IATA ruled that lithium-ion batteries could only be flown on cargo aircraft if they were in a state of charge of no more than 30%. As a manufacturer of lithium-ion batteries, this could have had a significant effect on us but in practice it hasn’t really. Most of our customers will already have, or be purchasing from us, the charging equipment required to bring the batteries up to full charge. So it’s not a problem for them if the batteries arrive with a 30% charge. A lot of our long-distance exports have always gone by ship anyway and nothing has changed there. Q. I understand there’s a service you can now provide to other companies wanting to transport lithium-ion batteries? A. Yes. 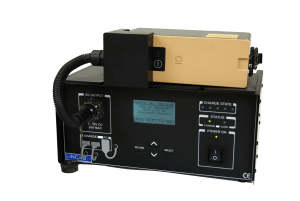 Our Caravel Mk2 Charger which offers multi-chemistry charging of batteries from any original equipment manufacturer has a built-in transport mode. When you connect any suitable lithium-ion battery to it, the charger will automatically read what state of charge that battery is at and can then discharge it to 30% or less, therefore making it safe to transport. There is also a multi-channel version being developed enabling a greater number of multiple batteries to be discharged at the same time. Q. So you could provide that service for anyone? A. Indeed. Whilst our primary customers are the military, including the defence, security and counter-terrorism sectors, the medical market and the oil and gas industry, we can provide a consultation service for any organisation that has concerns about transporting lithium-ion batteries. Provided we have sight of the battery and its electrochemistry, then we can develop a battery interface adaptor to connect it to our Caravel Mk2, helping them with any transportation issues they might have.